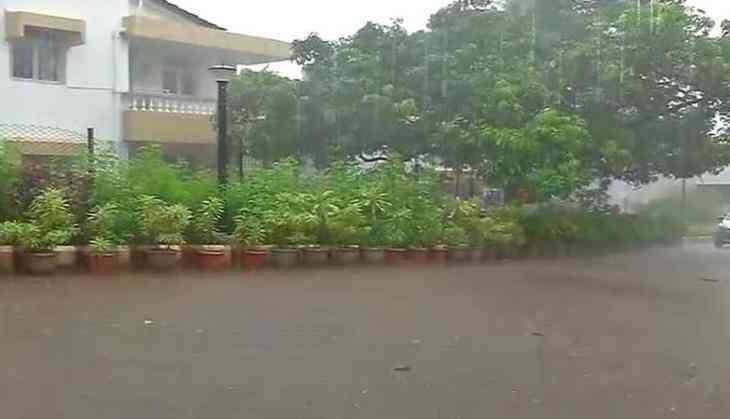 Director of India Meteorological Centre Goa M. L. Sahu on 31 may said the pre-monsoon has reached the state and widespread rain is expected in the next two days. "The rain received in the region is due to off-shore turf, which runs from South Maharashtra coast to North Kerala coast. Same off-shore turf is still there, so we are expecting widespread rain in next two days," Sahu told ANI. He said after two days the rainfall is expected to reduce and moderate rain will continue to maintain the cooling temperature of the state. "In the next 24 hours heavy rain may happen in certain place over Goa. We have issued heavy rainfall warning for both North and South Goa," he added. Meanwhile, the pre-monsoon rains also lashed several parts of the country bringing relief from the sweltering heat. According to Skymet Weather, a cyclonic circulation is seen over North Rajasthan and the adjoining Punjab. The Western Disturbance as an upper air cyclonic circulation is seen over Jammu and Kashmir. The contribution of all these weather systems is expected to result in rains over Delhi and the adjoining areas. Reportedly, along with the sprinkled showers, stormy winds may also affect the national capital and adjoining states. Temperature is also expected to drop marginally over these areas. These showers will occur in the next four to six hours during the late afternoon hours. These showers will affect the regions for at least 24 hours. The Skymet further reiterates that if the rain intensity and spread happen to be less over Delhi-NCR, another short spell of rain can also occur during the late night hours.